Pat Bedeau Pat Bedeau Plays Czech Republic’s oldest club. Pat Bedeau Plays Czech Republic’s oldest club. 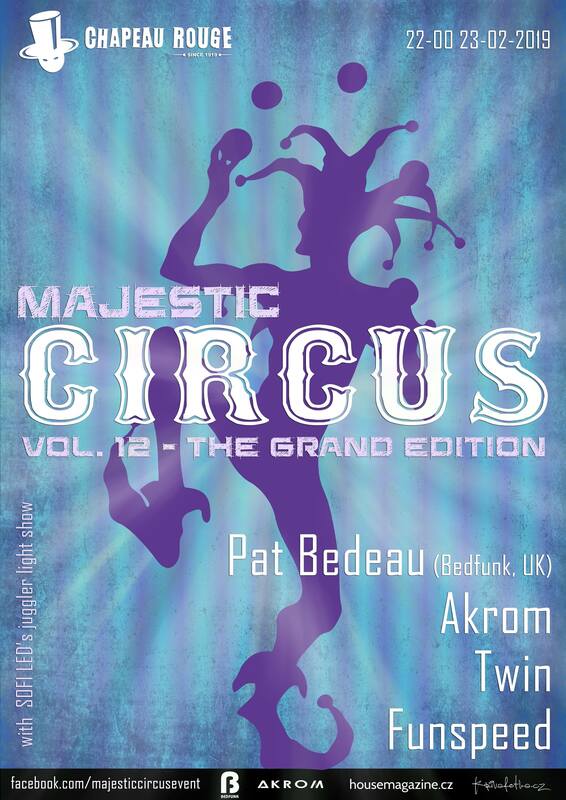 Join the Majestic Circus parties and enjoy a music experience that will brings positive vibes to you. Majestic circus always offers electronic music all night long by foreign djs, live LED light show by Sofie from BoomCats, special offers of drinks and circus decorations. This edition will be under the patronage of English label BEDFUNK and his owner, Dj and Producer PAT BEDEAU. In addition to that, Akrom will celebrate his birthday at this majestic party!!!! club night, clubbing Prague, dj, house music, Prague, soulful house. Bookmark.